For the past two years, I’ve participated in our local on-base Holiday Tour of Homes (you can see my holiday home tours here and here!). I didn’t participate this year for many reasons, mainly because I knew with Greg just getting home from deployment, the last thing I’d want to do is decorate to the hilt and open up our home to 200 people. 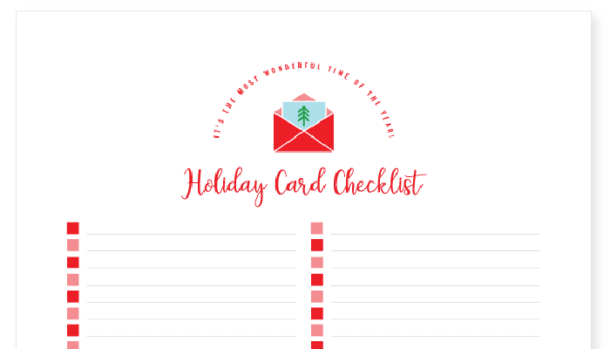 I’m glad I trusted my gut because, as I suspected, I am not up for big holiday hosting this year…and honestly (and even more surprisingly! ), I’ve been having a really tough time getting into the holiday-decorating spirit in general. I’m not quite sure why, but I suspect that after two years of covering every surface in faux trees, baubles and glitter (oh the glitter), I just needed a break from the holiday hoop-la. That…and it’s been a really long year…and I’m just kinda tired. I was pretty convinced we’d decorate our tree and that would be it, but then I found myself pulling out this and that. And then I started getting anxious about the mess and the clutter so most of it went back up to the attic – and that’s okay. I’m embracing this “season” of our lives…enjoying a quiet Christmas at home (and not being on the tour of homes) and just decorating in a way that feels simple and right for us, right now. You guys: this one is really simple. 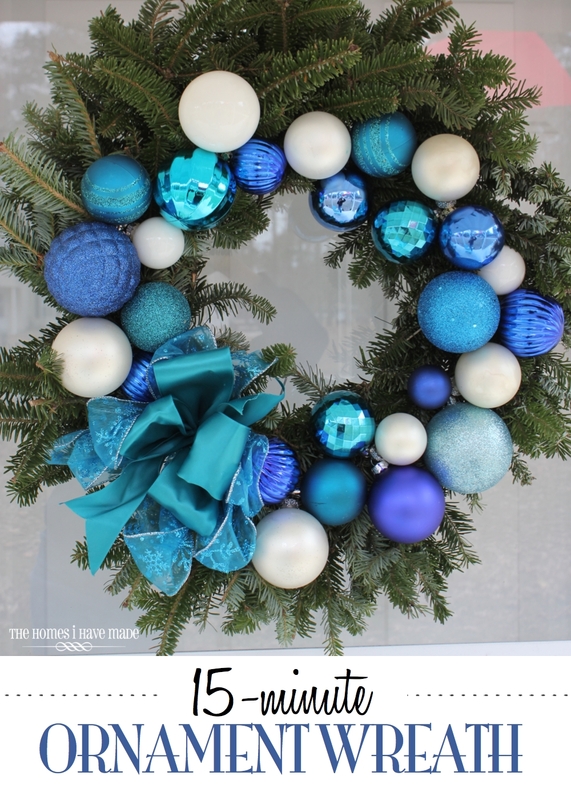 So if you don’t consider yourself crafty…or good at wreaths…or if you’re just not up for decorating this year (guilty! )…with just a few minutes and a teeny-tiny bit of effort, you can bring some jolly to your door too! 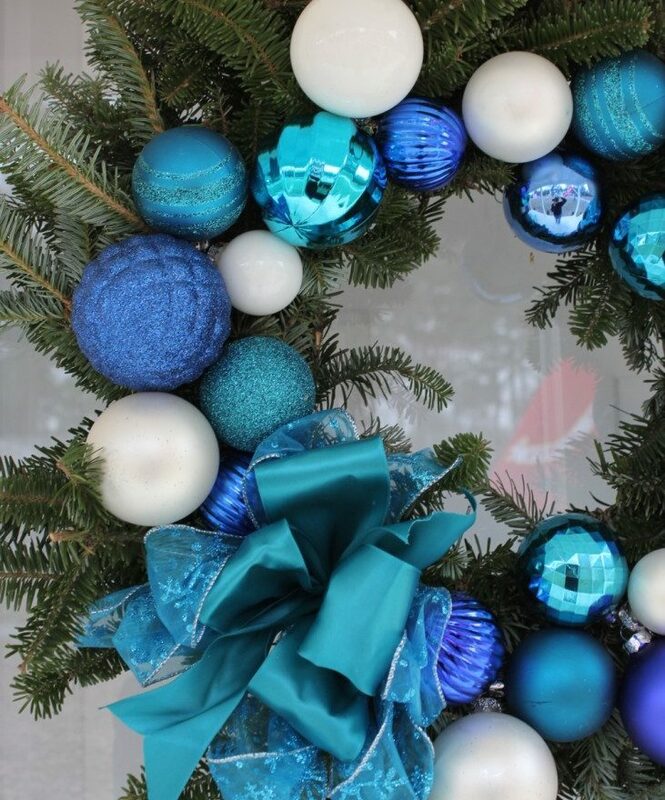 I then placed the ornament cluster on the greens and wrapped the excess wire around to the back of the wreath, twisting it tightly to secure the baubles in place. 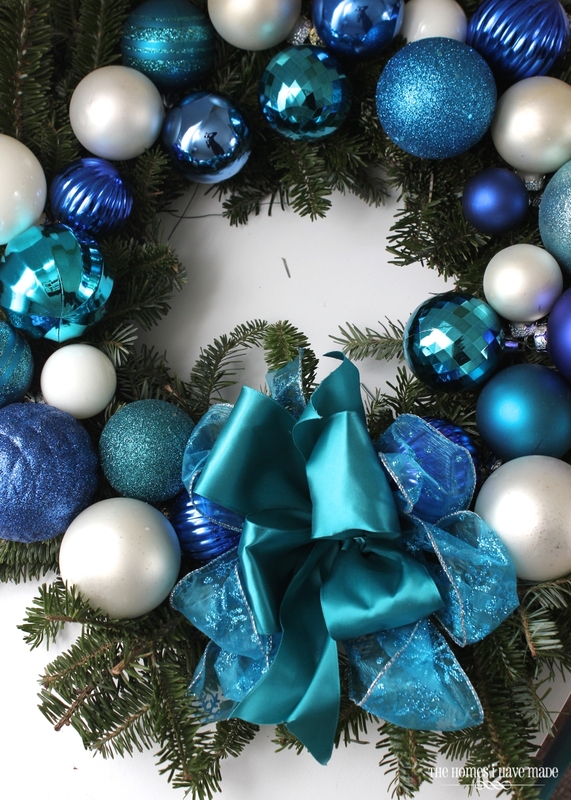 I repeated adding three-ornament clusters around the wreath until I had just enough space left open to add a bow. 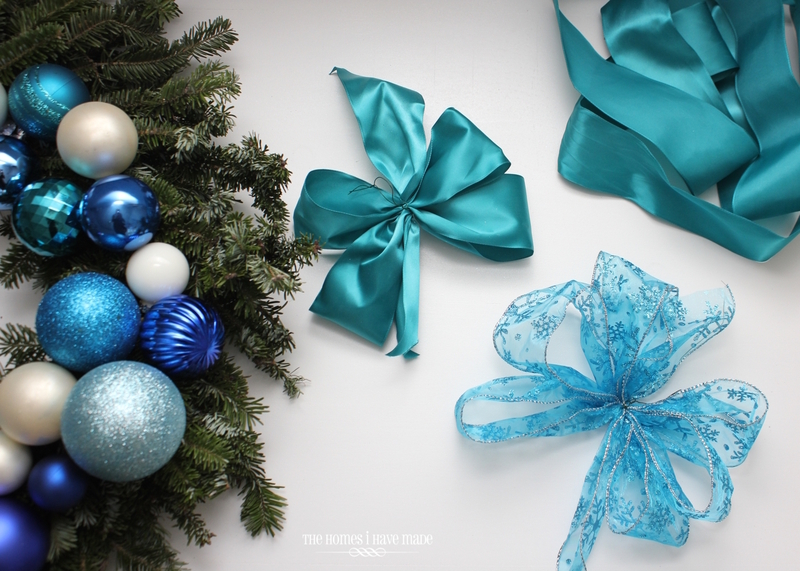 I rooted through our holiday stuff and dug out some bows from the last few years of crazy Christmas crafting (three cheers for keeping stuff from year to year!). 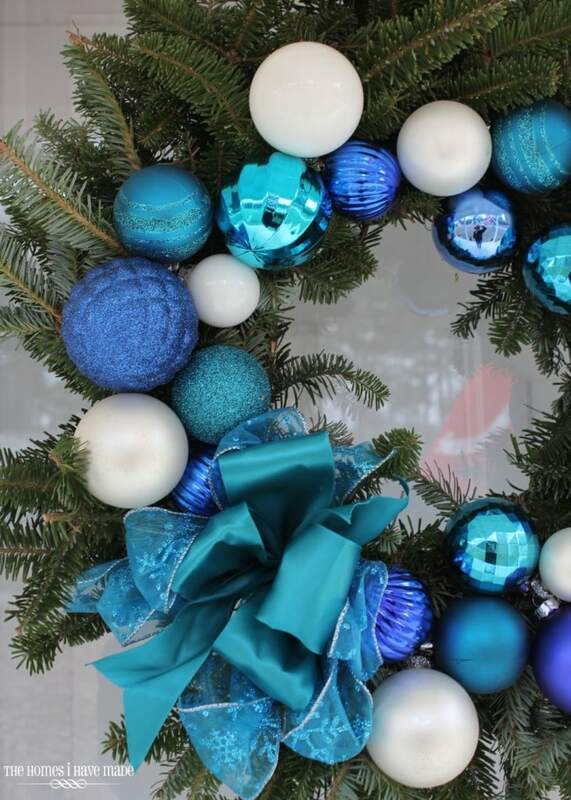 I fluffed two bows that coordinated; and layering the teal one on top of the turquoise one, secured the bows to the wreath with more wire. I’ve told you all this before and I’ll tell you again – wreath making is not my thing. I really struggle to balance the shapes and textures…so boy, was I super stoked to step back and see how stunning this one turned out! 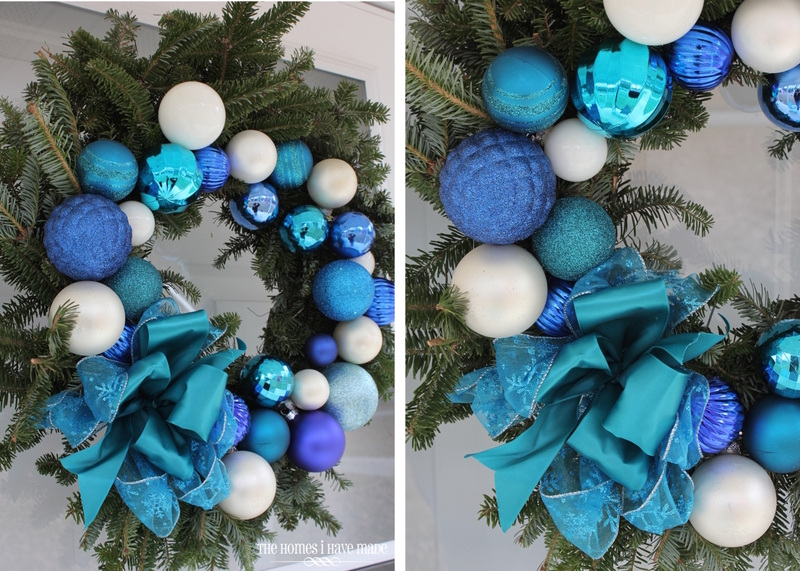 I feel like this simple wreath sort of represents where I’m at right now with my holiday decorating. 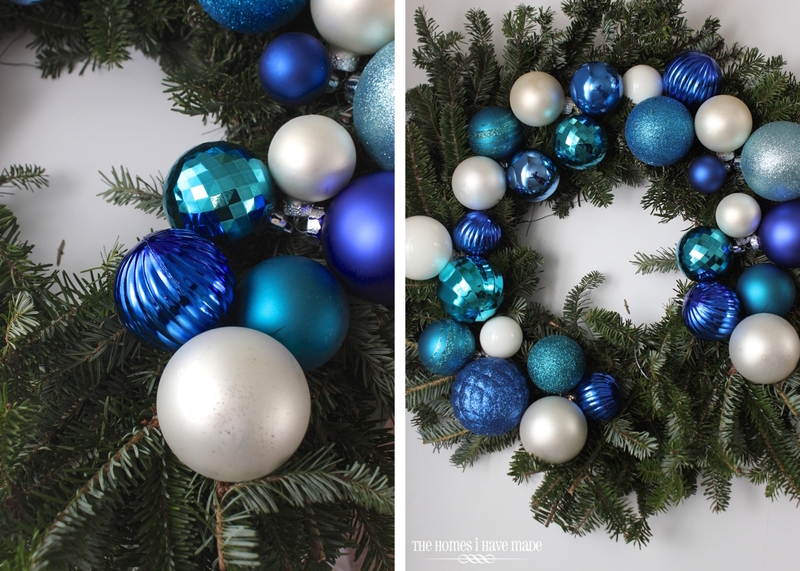 I’m craving festive and beautiful decor, but I don’t want to spend a ton of time or money making it happen. But by using items I already have in a fresh way…AND letting my creativity flow freely without the pressures of having our home look a certain way, I can bring some Christmas cheer to these halls without feeling burdened or anxious! And that is something I can get into! 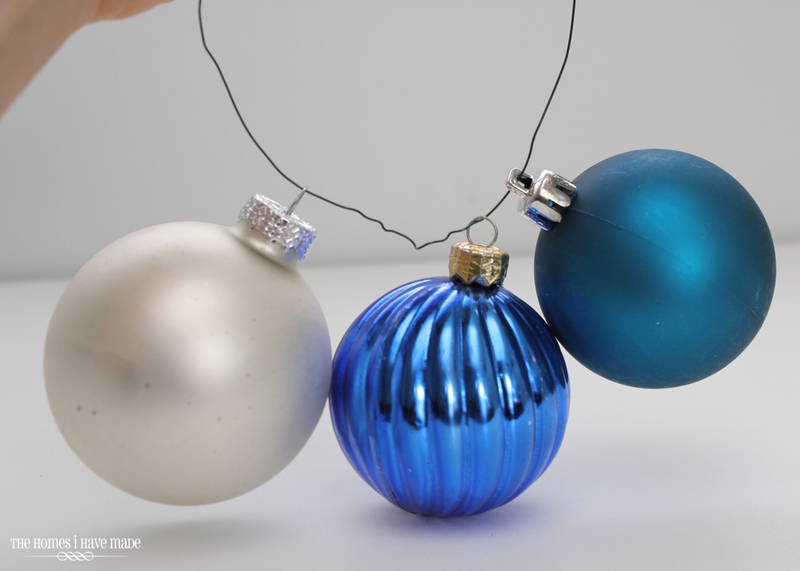 How do you approach your holiday decorating? 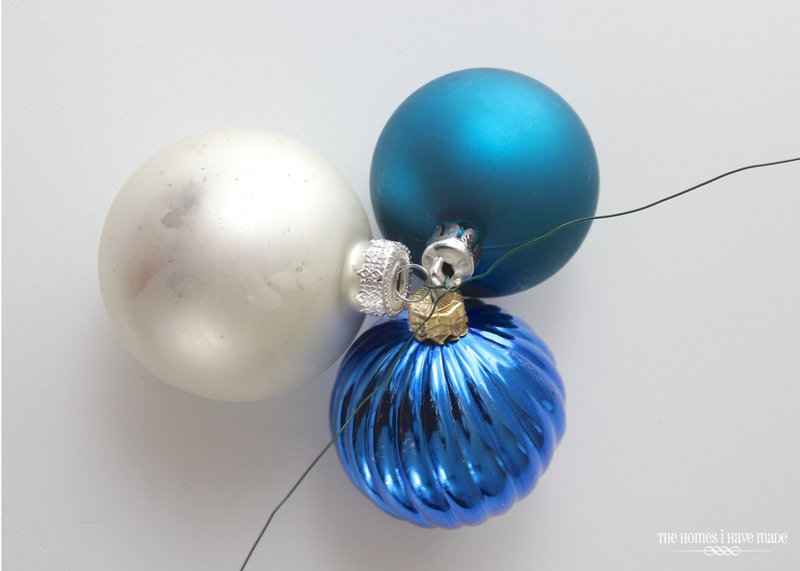 Are you going all out this year or only focusing on a few simple touches? Anyone else suffer from everything-is-displaced-and-covered-in-glitter anxiety this time of year?